Well, this COULD become an opportunity for the Otters ownership to heal some (many) of the self inflicted wounds they've created in the relationship w/ Karlsson. Wouldn't want to have any money on it and would actually expect it to more likely be an opportunity for this Canadian club to follow in the footsteps of another Canadian club by backing the wrong horse ala Iafrate / Leeman. Abusive girlfriend. The man needs help. It's possible. This woman seems like a real nutjob. All the players wives/girlfriends coming out right now with little bits of info make it sound like she was a known problem that somehow got even worse. As a random example of usage that I've parroted about for so long, I just realized how good of a season Claude Giroux had. He went from centering Raffl and Simmonds/Voracek to playing wing with Couturier and Voracek/Konecny, used in completely different (and tougher!) situations, but the super line factor along with moving to wing helped him increase his scoring by 75%, or 44 points in one year, going from 58 to 102. And it helped Philly too. They tied us for last in the league in points from their non-top-six scorers, but the super line came through and got them to the playoffs. 2. Pegula throws some weight around with the gubment so that Hoffman's fiancé isn't allowed to enter the US. I know it's not likely (hence the E5 nonsense) but I'd do it in a heartbeat. Hell, I'd even retain 50% of Bogosian's contract just to entice their cheap owner even further. What does E5 even mean? I have no clue. That Eklund guy who posts rumors on his site gives each rumor a rating from E1 to E5 (at least I think he still does, I don't think I've looked at it in years). E5 means take it to the bank. For the record I was using it sarcastically though. Ah. I've seen the reference on the forum but never knew what its origins were. Thanks. No sweat. It took me a while to figure it out on the last Sabres board I frequented 10 years back or so. Even if he shuts down his site the joke will probably continue to live on. unrelated but the 2017-18 AHL season is not over.... finals game 7 tomorrow. She is actually Hoffman's fiancée. Ugly, ugly situation. She had an instragram account that described herself as “professional packer-unpacker,” “frenchdog enthusiast” and “Champagne lover.” I don't know her, but that can come across as a little entitled. NY Post came out with an updated story with several wives of current and former players coming to the defense of Mel Karlsson, and saying Caryk's behavior comes as "no surprise". Safe to say, no one would just make this up. Best case scenario is a huge misunderstanding. But Karlsson's wife comes across as also hearing words to the effect of what she is claiming from Caryk. Not just social media posts. Very, very ugly. As bad as I feel for the Karlsson's, I also feel bad for Mike Hoffman. Right now he is coming to his fiancée's defense, and at the same time showing compassion towards the Karlsson's. But I have a feeling he is giving Caryk the benefit of the doubt, because honestly he is probably in the dark as well. Any ounce of evidence and she is toast. With that being said, the GM and the players agents made it clear that there is no chance this goes on into next season, and that one player has to be moved. Karlsson is obviously the most sought after, but only has one year left on his deal. From a lockerroom and wives standpoint, I'm not sure what team can trade for Hoffman right now without players and their wives having an issue bringing that type of drama and character into their environment, one that is heavy in family and children. It's obvious Caryk has no children, and is enjoying the life of an athletes significant other. Until Caryk is either proven innocent or dumped, Hoffman will remain in Ottawa. Sad set of circumstances. But as a hockey fan, would love to have Karlsson on our team. 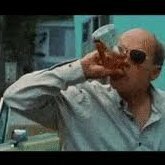 If I'm Hoffman, I'm hiring a PI or IT expert or whatever and completely ripping the lid off the story. If what's being said is true, it's time to move on. There may be an untold side to the story that hasn't arose yet but if I'm him, all the facts need to be laid out. Totally agree. One way or the other get to the bottom of it. 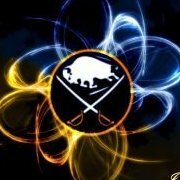 Lehner and Allen have both started 205 games and played 219. 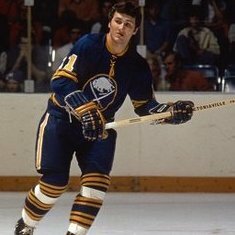 Lehner has faced nearly 1000 more shots and has better stats than Allen. Allen is also a year older. Besides a change of scenery I don't know what good this would do, Allen is signed for 3 more years over 4 mill. Rather see what type of contract Lehner wants. Honestly, they are similar enough I would imagine Allen's contract is used as the bench mark by one side. 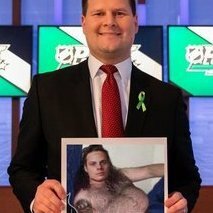 Lehner has to get a 10% pay rise for the qualifying offer I believe, which would put it at $4,400,000. Allen's cap hit is $4,325,000. Lehner won't command more than that given the season he had.